The oldest customer complaint ever recorded was found written on a tablet in 1750. Back then, tablets were made of stone. The tablet unearthed in the ancient Babylonian City of Ur is currently on display at British Museum. The customer got so riled when the merchant palmed off on him copper of poor quality that he went to the trouble to compose a complaint on a piece of stone. An image of the tablet as well as the translation of the complaint are given below. The customer literally fulminates against the merchant, reeling off a long list of complaints! What do you take me for then, looking down on me like that so disdainfully? As messengers, I have chosen well-mannered, polite gentlemen to take back the pouch (entrusted to you) with my money inside; but you sent them away empty-handed and, as if that was not enough, made them pass through enemy territory. Is there anyone else among those trading with Telmun that deign to treat me with such disrespect? Only you treated my messenger with such abhorrent contempt! On account of that one (trifling) mina of silver which I owe (?) you, you feel free to speak in such a way, while I have given to the palace on your behalf 1,080 pounds of copper, and umi-abum has likewise given 1,080 pounds of copper, apart from what we both have had written on a sealed tablet to be kept in the temple of Samas. If people of the ancient Babylonian era had been using the Mi4biz Customer Experience Management software, we could have discovered another tablet enumerating the whole process from end to end. Who knows, the customer letter might have then ended with expressions of thanks and gratitude. 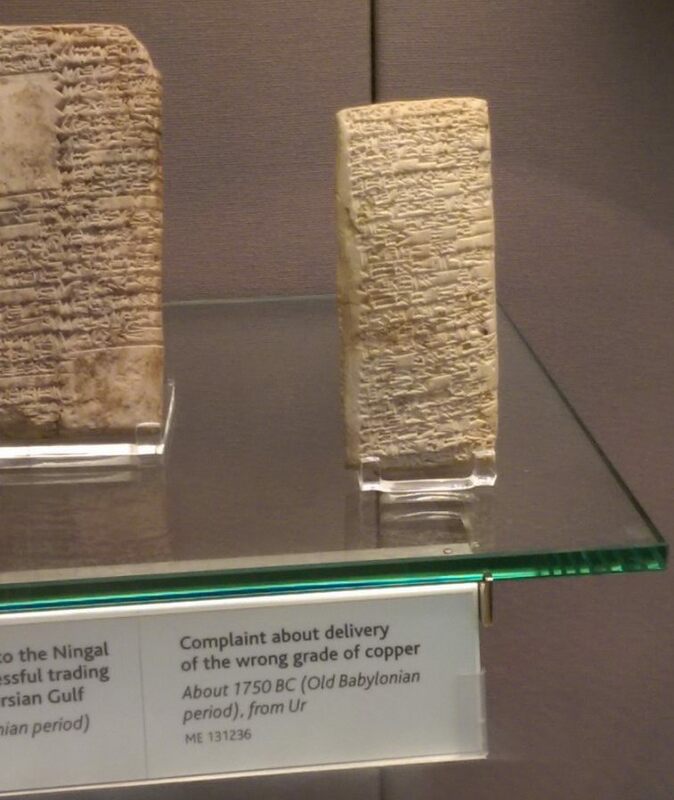 On a more serious note, customers are now able to communicate their complaints a lot more easily and efficiently compared to 3750 years ago. What matters is listen carefully to the customers, understand their needs and take necessary action to please them; sustainable customer satisfaction, that is.